Telstra has launched a new mobile portal that enables its customers to keep track of their mobile usage and expenditure direct from their device. 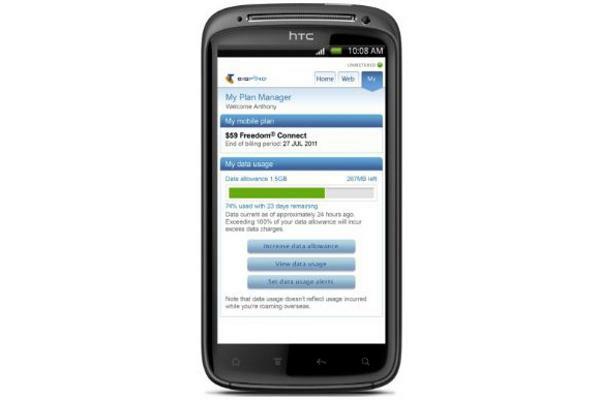 The My Plan Manager, exclusive to Telstra postpaid customers, allows users to compare their mobile data usage against their quota, track the days left until their next billing date, update BigPond preferences, and check if international roaming is activated on their device. The portal can be accessed from the “My” tab on handsets and is unmetered for mobile data usage within Australia. A ‘Data Usage’ tab shows a consolidated daily view of all previous user data activities in different colours to identify whether data usage is within data allowance or under pay as you go rates/excess charges. According to the telco’s Exchange blog, the new offering was brought on by the Telstra Smartphone Index 2011 in July, which revealed Australians are increasingly accessing online content from their smartphones. Sixty one per cent of those surveyed used their phones to access the internet every day. Earlier this month, the Australian Communications and Media Authority released a report (PDF) that advised Australian telcos to implement “bill shock” prevention measures in order for customers to better manage their mobile usage and expenditure. “All providers should enable customers to track their usage and expenditure on data, calls and SMS during a billing period to help reduce the risk of bill shock," the report stated. “Consumers should be equipped with the tools they need to manage their telecommunications expenditure, particularly the ability to monitor the accumulation of charges in a plan during a billing period. Following the report, Optus launched a data roaming alert for postpaid mobile customers travelling overseas to reduce unexpected bill shocks. Optus customers who download data on their handset while overseas will be notified by the new system within “approximately one hour of first usage” that they are being charged for data roaming.